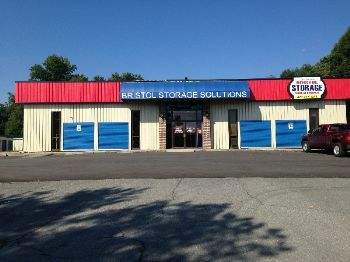 Gray Storage Solutions at 6620 Hwy. 36 (also known as the Kingsport Hwy.) sits .4 of a mile past the junction of Hwy.75 Hwy.75 goes to the Tri-Cities Airport & Blountville). It is on a 3 acre site completely fenced with coded gate & door entries. It also has a state-of-the-art surveillance system. There are both climate controlled and standard units available in sizes from 5 X 5 up to 10 X 30. Rates are very competitive This is a newer facility and the entry is concrete & very wide. There is abundant space for renting parking spots for boats, trailers, RV'S, and autos. Covered spots will be available about June, 2011. This is a very clean facility. There is a "manager's" apartment available for short or long term rental. It is fully furnished. Utilities include cable & internet. Credit cards are accepted. Call owner at 423-477-2111.